iOS devices can be put to multiple uses – totally depends upon what you like and what you want to get out of your smart device. I do a lot of stuff on my iOS devices and one of my favorites use for iPad (and iPhone!) is Gaming. And, I do have a nice collection of iOS games on my devices. Gaming on tablet/phone – whether it is for a quick 5-minute break you get from your daily chores, a quick game in the lunch break or that one addictive game on which you can spend your whole weekend – you are likely to find a game to suit your need and mood from the app store! If you like Racing games, your hunt for an thrilling, action-packed, and lightening fast racing game apps for iPad/iPhone is going to be a lot simpler with this post! Well, there are a lot of high-quality games available now in the iOS app store and many of them have a dedicated iPad version as well. MotoHeroz by Ubisoft, is a physics-based racing game for iOS devices inspired by critically acclaimed WiiWare game MotoHeroz, which was named “Best WiiWare Game of the Year” by IGN and Nintendo Life. 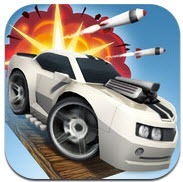 MotoHeroz is available in separate SD for iPhone and HD version for iPad featuring 6 vehicles and 30 exciting tracks wherein you can race, chase and rally through a brightly coloured world while competing with your friends for the best times in super-challenging stunt circuits and hunting for hidden collectibles. 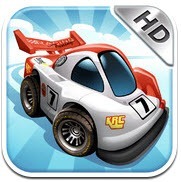 This app has been listed at number 10 in the Apple’s countdown of racing apps. Download MotoHeroz HD now and put your motoring skills to test. Table Top comes with a console-quality visuals featuring multi-player mode in which you can compete with up-to 4 friends (or ‘frienemies’ as the developers have quoted on the app store). 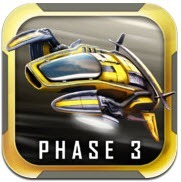 There is a lot to explore in this app – 4 player multi-player battles, 18 Leaderboards, 10 Upgradable cars, 8 Race tracks and 6 Unique Gameplay modes, so you won’t regret shedding some bucks on this one – the 1000+ five-star reviews on the App Store should help you make a quick decision whether to download it or not ;). A top-down racer that encourages you to bump other players off the road while sliding though obstacles while turning. Reckless Racing 2 comes with a lot of customization options and different cars that you can chose from – to suit your driving style. It is compatible with iPhone, iPod Touch and iPad. Asphalt 7: Heat is one of the very famous free racing game apps for iPhone/iPad which comes with stunning graphics and aggressive driving gameplay which looks fantastic on Retina display. It is one of the most complete, arcade racing games around. It features in-game currency using which you can purchase new cars to participate in incrementing levels. Astounding graphics, beautiful courses and a dizzying sense of speed is what Asphalt 7 is all about! It is truly one of the most amazing and neatly done action-packed mobile racing experience currently available – the amazing 8000+ five-star reviews speak for itself. 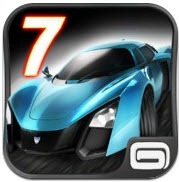 For £0.69, Asphalt 7: Heat is an absolute treat! 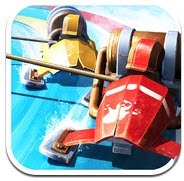 Slingshot Racing is a unique, challenging and an incredibly fun arcade game for iOS devices. Unlike the other gaming apps for racing on this list, it doesn’t require you to steer carefully, take power-ups or even press the gas pedal. You would think, then how is it even a racing game app? Well, you are given a task to use your grappling hook to fling your car down curvy tracks to reach the finish line in this fast-paced racer. You can improve your skills on learning tracks and then get on to the steampunk environment with ice tracks, grappling hooks, cool cars and snowmen. At number 5 is Repulze, a hovercraft racer set in the distant future – developed by Reckless Racing team! Collect precious energy boosts to push your speed and see the hypersonic action in 60 FPS. 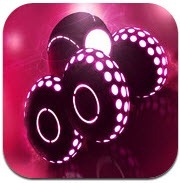 Repulze has got 24 challenging tracks with 7 customizable crafts to tame. It is compatible with iPod Touch, iPhone and iPad. Little Cars, Big Fun – as much as you love the realistic versions of your dream cars, I am sure you are going to love these tiny versions as well! Mini Motor Racing has got impressive graphics and interesting game-play with simple controls which make it quite addictive and fun to play. You can also play multi-player with up to 4 friends via Bluetooth, WiFi, or Online. Mini Motor Racing comes with a lite version which you can try first and then buy the full version which sells for £1.49 on the app store. NFS is the iOS version of the very famous video game – one of the very first to be digitized in the racing genre of games. 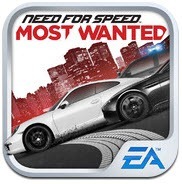 Most Wanted features impressive graphics, thrilling police chases and exceptional challenges making it one of the most intense racing games available on iPad. Become the Most Wanted with a choice to select hot cars like SRT Viper GTS, Porsche 911 Carrera S, Hummer H1 Alpha and many more. So download NFS: Most Wanted and be prepared to hit the gas, hold on tight and outrun cops, outsmart rivals and outdrive your friends! 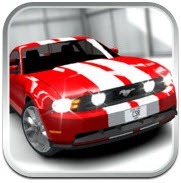 CSR Racing needs no introduction – it is one of the most famous iOS racing games available on the app store. CSR puts your reaction times to test with head-to-head drag races in along deserted city streets. Daily challenges, multi-player option to compete with your friends, stunning high-fidelity 3D graphics, make CSR Racing an ultimate candidate for racing games addiction. If you are still thinking whether to download CSR Racing or now, you can place your bet on the choice of 140k reviewers – they can’t be wrong. It is compatible with iPhone, iPad and iPod Touch. 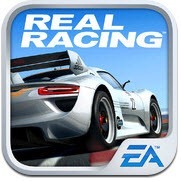 Release just in Feb this year, Real Racing 3 is already a great hit developed by EA sports. 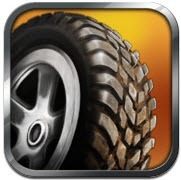 Rated the #1 Top Free App in over 90 countries, Real Racing 3 sets a new standard for mobile racing games. From detailed graphics and lighting effects to roaring engines, every detail has been carefully mastered and perfectly executed. It features officially licenced tracks, 22-car grid, and 45 meticulously detailed cars making it the most robust, polished racing game on iOS devices. You also have a huge range of upgradable cars. You can obviously enhance your experience via multiple in-app purchases offered from within the app. But, even if you don’t want to shed out any money on racing games for iOS, but still want to have the most exciting experience racing on an iOS device, this single app should be enough for you! Out of the above, Real Racing 3, CSR Racing, Asphalt and NFS are my personal favorites (in the same order) – which ones are yours? I spent a couple of hours on this list to present the best gaming apps for iPad/iPhone to you in this format so that you get all the information in one place and don’t have to click on million links to see the price, reviews for the app which fits your requirement. I hope you like it, and if you do, don’t forget sharing it with your game-freak friends and family members. If your favorite iOS racing app is not on the list, share it with us in the comments section below – we would love to try it!